Some people think the Catholic Church abandoned her teaching on relics after Vatican II. However, a quick glance at the Code of Canon Law, published by authority of Pope John Paul II in 1983, reveals that the Church very much considers sacred relics to be important and significant in the life of the Church (cf. canons 1281-89). The word relic comes from the Latin relinquo, literally meaning I leave, or I abandon. A relic is a piece of the body of a saint, an item owned or used by the saint, or an object which has been touched to the tomb of a saint. Traditionally, a piece of the body of a saint, especially that of a martyr, may be with the permission of the local ecclesiastical authority used in solemn processions recalling the specific holy person. It may seem strange that Christianity, which so adheres to the belief in the resurrected body after the final judgment, should attach veneration to body parts of the faithful departed. But as Dom Bernardo Cignitti, O.S.B., once wrote, In a religion as spiritually centered as Christianity, the remains of certain dead are surrounded with special care and veneration. This is because the mortal remains of the deceased are associated in some manner with the holiness of their souls which await reunion with their bodies in the resurrection. 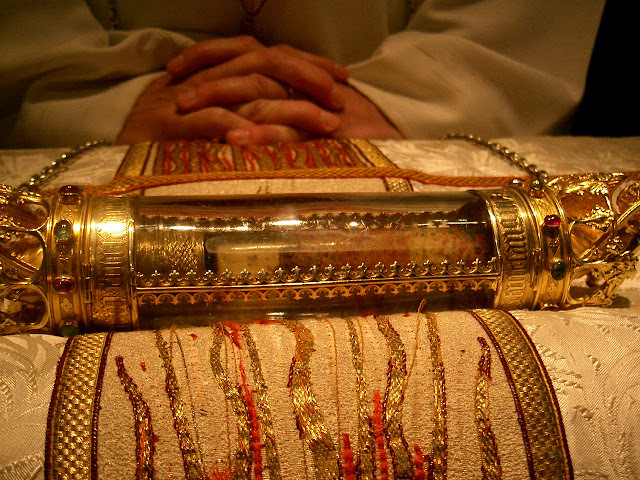 The veneration of sacred relics has a long history in the Church. It is commonly held that the first account of such veneration stretches back to the martyrdom of St. Polycarp, bishop and martyr, who was killed by being burned at the stake in the amphitheater at Smyrna around the year 155 A.D. One such reference, which comes from the Office of Readings assigned to the memorial of St. Polycarp (February 23) in the Liturgy of the Hours, states: When the pyre was ready, Polycarp took off all his clothes and loosened his undergarment. He made an effort also to remove his shoes, though he had been unaccustomed to this, for the faithful always vied with each other in their haste to touch his body. Even before his martyrdom he had received every mark of honor in tribute to his holiness of life. As time went on, the clothing and personal effects of holy men and women and boys and girls of the Lord were also enshrined. 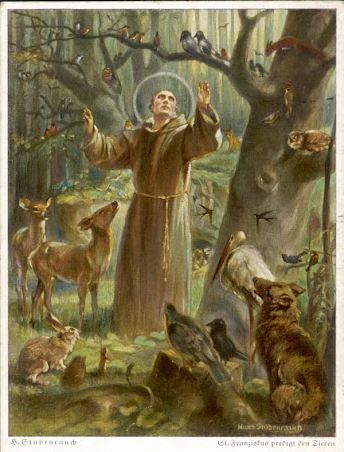 Abbot Cignitti observed: This was because of the widespread belief, beyond measure in the centuries of the early Middle Ages, that the wonder-working power of the saint was to be found not only in the entire body but also in every part of it and in objects that had been in contact with his person. After the death of Emperor Constantine (fourth century), cases of wood, ivory, and various metals containing relics were deposited in altars at the time of their dedication or buried near the tombs of the dead or even worn around the neck. It is well-known that altars at the time of their consecration by the bishop were to have inserted a relic of a saint, preferably a martyr, which was kissed by the priest as he began to offer the Holy Sacrifice of the Mass. It is still earnestly recommended that every altar possess a relic of one of the saints. 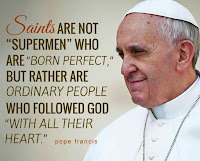 ⇘ (5) the truth of our closeness to the saints because of our connection in the communion of saints we as members of the Church militant or pilgrim Church, they as members of the Church triumphant. ⇘ Mark 15:43; John 19:38 - Joseph of Arimathea sought Christ's dead body instead of leaving it with the Romans. Joseph gave veneration to our Lord's body. ⇘ Mark 16:1; Luke 24:1 - the women came to further anoint Christ's body even though it had been sealed in the tomb. ⇘ John 19:39 - Nicodemus donated over one hundred pounds of spices to wrap in Jesus' grave clothes. This is also veneration of our Lord's body. ⇘ Matt. 9:21; Mark 5:28 - the woman with the hemorrhage just sought the hem of Christ's cloak and was cured. 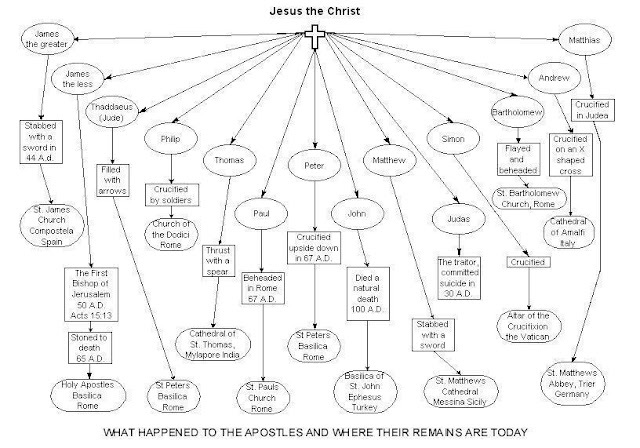 This shows that God uses physical things to effect the supernatural. ⇘ Acts 19:11-12 - Paul's handkerchiefs healed the sick and those with unclean spirits. This is another example of physical things effecting physical and spiritual cures. ⇘ Acts 5:15 - Peter's shadow healed the sick. This proves that relics of the saints have supernatural healing power, and this belief has been a part of Catholic tradition for 2,000 years. ⇘ Rev. 6:9 - the souls of the martyrs are seen beneath the heavenly altar. Their bones are often placed beneath altars in Catholic churches around the world. ⇘ 2 Kings 13:21 - Elisha's bones bring a man back to life. 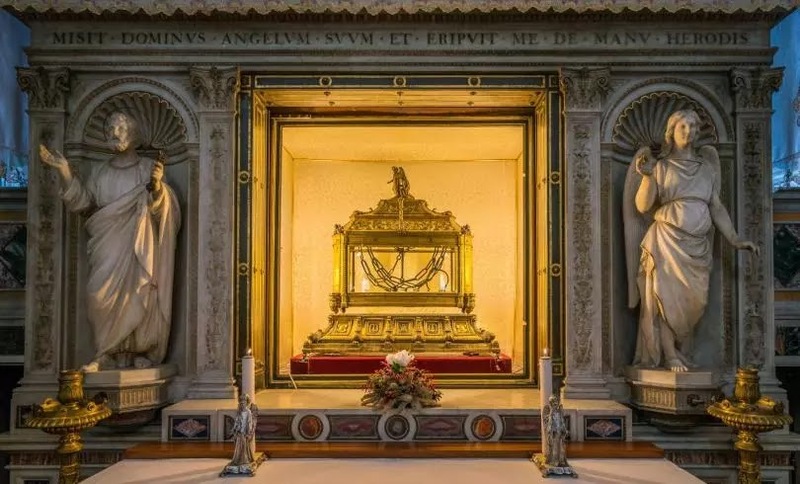 The saints' bones are often kept beneath the altars of Catholic churches and have brought about supernatural cures throughout the Christian age. ⇘ Rom. 13:7; Phil. 2:25-29; Heb. 3:3; 1 Pet. 2:7 – we are taught to honor the people of God and in 1 Cor. 4:16-17; 1 Cor. 11:1-2; Phil. 3:17; 1 Thess. 1:6; 2 Thess. 3:7; Heb. 6:12; Heb. 13:7; James 5:10-11 – we are reminded to imitate them. Keeping relics of the saints serves both to honor and imitate their heroic faith in Christ (just as keeping articles of deceased loved ones helps us honor and imitate them). ↳ Deut. 4:15 - from this verse, Protestants say that since we saw "no form" of the Lord, we should not make graven images of Him. ↳ Deut. 4:16 - of course, in early history Israel was forbidden to make images of God because God didn't yet reveal himself visibly "in the form of any figure." ↳ Deut. 4:17-19 - hence, had the Israelites depicted God not yet revealed, they might be tempted to worship Him in the form of a beast, bird, reptile or fish, which was a common error of the times. ↳ Exodus 3:2-3; Dan 7:9; Matt. 3:16; Mark 1:10; Luke 3:22; John 1:32; Acts 2:3- later on, however, we see that God did reveal himself in visible form (as a dove, fire, etc). ↳ Deut. 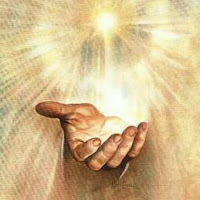 5:8 - God's commandment "thou shall not make a graven image" is entirely connected to the worship of false gods. God does not prohibit images to be used in worship, but He prohibits the images themselves to be worshiped. ↳ Exodus 25:18-22; 26:1,31 - for example, God commands the making of the image of a golden cherubim. This heavenly image, of course, is not worshiped by the Israelites. Instead, the image disposes their minds to the supernatural and draws them to God. ↳ Num. 21:8-9 - God also commands the making of the bronze serpent. The image of the bronze serpent is not an idol to be worshiped, but an article that lifts the mind to the supernatural. ↳ I Kings 6:23-36; 7:27-39; 8:6-67 - Solomon's temple contains statues of cherubim and images of cherubim, oxen and lions. God did not condemn these images that were used in worship. ↳ 2 Kings 18:4 - it was only when the people began to worship the statue did they incur God's wrath, and the king destroyed it. The command prohibiting the use of graven images deals exclusively with the false worship of those images. ↳ 1 Chron. 28:18-19 - David gives Solomon the plan for the altar made of refined gold with a golden cherubim images. These images were used in the Jews' most solemn place of worship. ↳ 2 Chron. 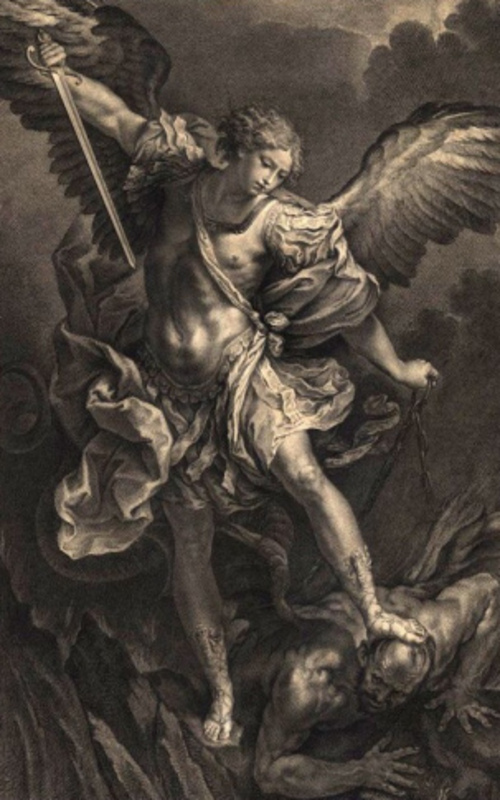 3:7-14 - the house was lined with gold with elaborate cherubim carved in wood and overlaid with gold. ↳ Ezek. 41:15 - Ezekiel describes graven images in the temple consisting of carved likenesses of cherubim. 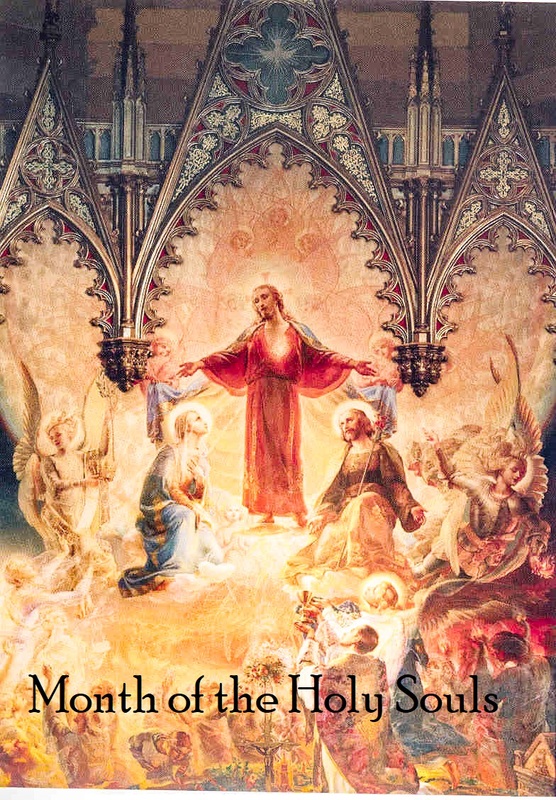 These are similar to the images of the angels and saints in many Catholic churches. ↳ Col. 1:15 - the only image of God that Catholics worship is Jesus Christ, who is the "image" (Greek "eikon") of the invisible God. 📝Why do we Venerate Relics ? The Holy Tunic of Christ is said to have been worn by Jesus during or shortly before his Crucifixion. It is preserved at the Cathedral of Trier in Germany. In the Gospel of John, the soldiers cast lots on who would receive the tunic because it was woven in one single piece. Hence the name, the Seamless Robe. “Then the soldiers, when they had crucified Jesus, took His garments (ta himatia) and divided them into four parts, to every soldier a part, and the coat (kai ton chitona). Now the coat was without seam, woven whole from the top down. Therefore, they said among themselves, let us not tear it, but cast lots for it, whose it will become. Thus the saying in Scripture was fulfilled: they divided My raiment (ta imatia) among them, and upon My vesture (epi ton himatismon) did they cast lots” (John 19:23-24; quoting the Septuagint version of Psalm 21 :18-19). The history of the Trier robe is certain only from the 12th century. On May 1, 1196, Archbishop Johann I of Trier consecrated an altar in which the seamless robe was contained. It is no longer possible to determine the exact historical path that the robe took to arrive there, so many hold it to be a medieval forgery. 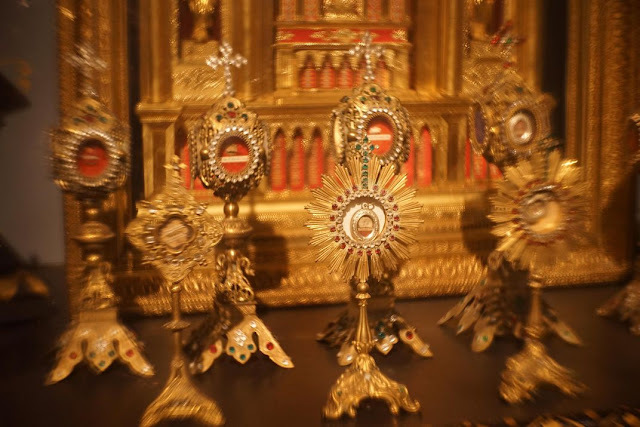 The various attempts at preservation and restoration through the centuries have made it difficult to determine how much of the relic (if genuine) actually stems from the time of Jesus. A scientific examination of the specimen has not been conducted. The stigmatist Therese Neumann of Konnersreuth declared that the Trier robe was authentic. The Holy Lance (also known as the Spear of Destiny, Holy Spear, Lance of Longinus, Spear of Longinus or Spear of Christ) is the name given to the lance that pierced Jesus’ side as he hung on the cross in John’s account of the Crucifixion. The lance (Greek: λογχη, longche) is mentioned only in the Gospel of John (19:31–37) and not in any of the Synoptic Gospels. The gospel states that the Romans planned to break Jesus’ legs, a practice known as crurifragium, which was a method of hastening death during a crucifixion. According to three of the synoptic Gospels, a woven crown of thorns was placed on the head of Jesus during the events leading up to the crucifixion of Jesus. It was one of the instruments of the Passion, employed by Jesus' captors both to cause him pain and to mock his claim of authority. It is mentioned in the gospels of Matthew ('And when they had platted a crown of thorns, they put it upon his head, and a reed in his right hand: and they bowed the knee and mocked him, saying Hail, King of the Jews!' 27:29 KJV), Mark (15:17), and John (19:2, 5) and is often alluded to by the early Church Fathers, such as Clement of Alexandria, Origen, and others. Saint John tells that, in the night between Maundy Thursday and Good Friday, Roman soldiers mocked Christ and his Sovereignty by placing a thorny crown on his head (John 19:12). The crown housed in the Paris cathedral is a circle of canes bundled together and held by gold threads. The thorns were attached to this braided circle, which measures 21 centimeters in diameter. The thorns were divided up over the centuries by the Byzantine emperors and the Kings of France. There are seventy, all of the same type, which have been confirmed as the original thorns. 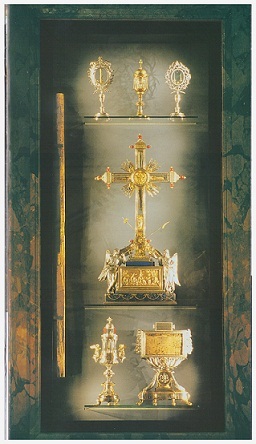 The relics of the Passion presented at Notre-Dame de Paris include a piece of the Cross, which had been kept in Rome and delivered by Saint Helen, the mother of Emperor Constantine, a nail of the Passion and the Holy Crown of Thorns. 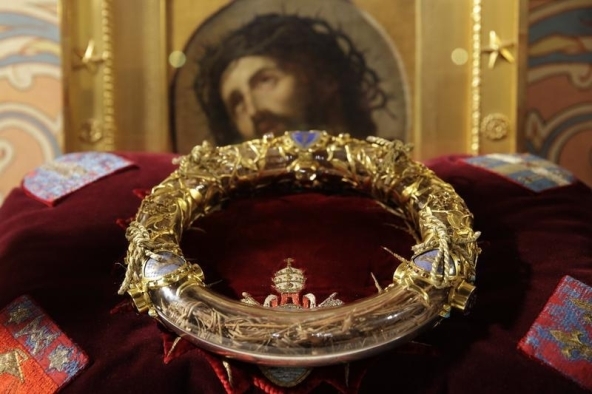 Of these relics, the Crown of Thorns is without a doubt the most precious and the most revered. Despite numerous studies and historical and scientific research efforts, its authenticity cannot be certified. 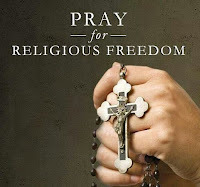 It has been the object of more than sixteen centuries of fervent Christian prayer. The Shroud of Turin or Turin Shroud is a length of linen cloth bearing the negative image of a man who is alleged to be Jesus of Nazareth. It is kept in the royal chapel of the Cathedral of Saint John the Baptist in Turin, Piedmont, northern Italy. 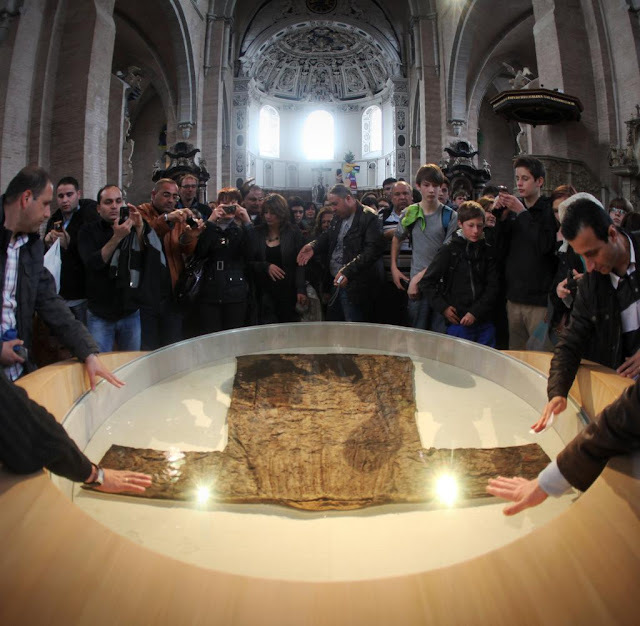 The cloth itself is believed by some to be the burial shroud that Jesus was wrapped in when he was buried after crucifixion. It is first securely attested in 1390, when a local bishop wrote that the shroud was a forgery and that an unnamed artist had confessed. Radiocarbon dating of a sample of the shroud material is consistent with this date. The Catholic Church has neither formally endorsed nor rejected the shroud, but in 1958 Pope Pius XII approved of the image in association with the devotion to the Holy Face of Jesus. 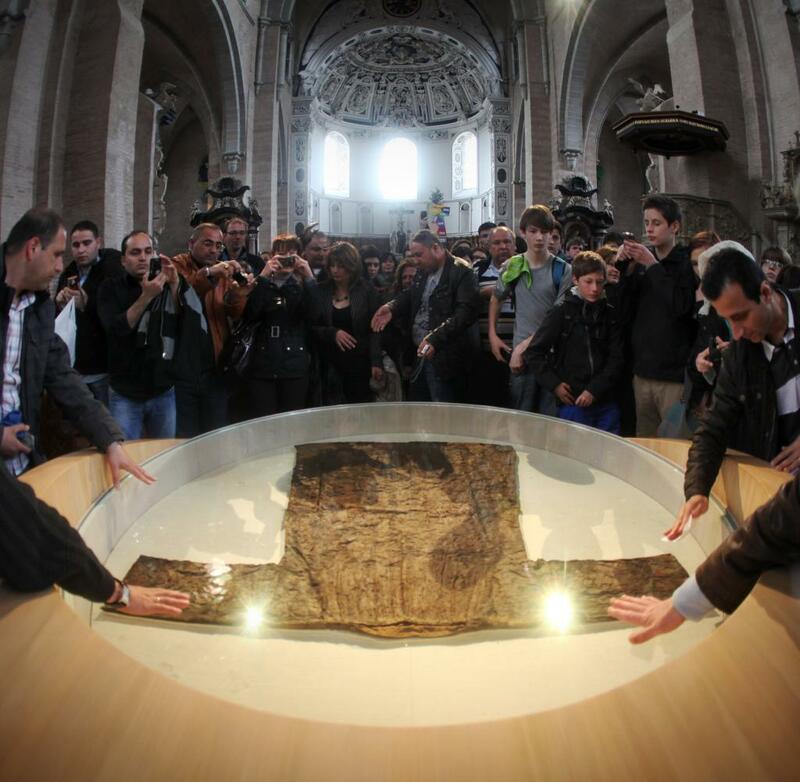 Pope John Paul II called the Shroud "a mirror of the Gospel"
The Shroud of Turin is the best-known relic of Jesus and one of, if not the, most studied artifacts in human history. Believers contend that the shroud is the cloth placed on the body of Jesus Christ at the time of his burial, and that the face image is the Holy Face of Jesus. 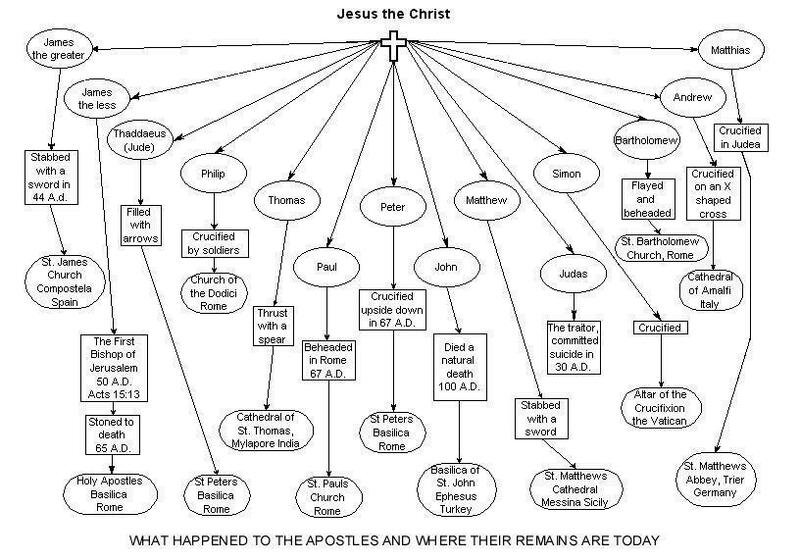 Detractors contend that the artifact postdates the Crucifixion of Jesus by more than a millennium. Both sides of the argument use science and historical documents to make their case. The striking negative image was first observed on the evening of May 28, 1898, on the reverse photographic plate of amateur photographer Secondo Pia, who was allowed to photograph it while it was being exhibited in the Turin Cathedral. The Catholic Church has neither formally endorsed or rejected the shroud, but in 1958 Pope Pius XII approved of the image in association with the Roman Catholic devotion to the Holy Face of Jesus. According to post-Nicene historians such as Socrates of Constantinople, the Empress Helena, mother of Emperor Constantine, the first Christian Emperor of Rome, travelled to the Holy Land in 326–328, founding churches and establishing relief agencies for the poor. Historians Gelasius of Caesarea and Rufinus claimed that she discovered the hiding place of three crosses that were believed to have been used at the crucifixion of Jesus and of two thieves, St. Dismas and Gestas, executed with him; to one cross was affixed the titulus bearing Jesus' name, but Helena was not sure until a miracle revealed that that cross was the True Cross. The fifth-century Church historian of Constantinople, Socrates of Constantinople wrote in his Ecclesiastical History, which was finished shortly after 439, that after Constantine was proclaimed Caesar and then Emperor, he ordered that all honor be paid to his mother Helena, to make up for the neglect paid her by her former husband, Constantius Chlorus. After her conversion to Christianity, Constantine sent her on a quest to find the cross and nails used to crucify Jesus. A Jew called Judas (in later retellings called Judas Cyriacus) led her to the place they were buried. Several miracles were claimed to prove the authenticy of these items, and St. Helena returned with a piece of the cross and the nails. Socrates wrote that one nail was used to make a bridle, one was used to make the Helmet of Constantine and two were cast into the Adriatic Sea. Two relics exist that have the form of a bridle and are claimed to be the bridle of Constantine: one in the apse of the Cathedral of Milan, and the other in the cathedral treasury of Carpentras Cathedral. 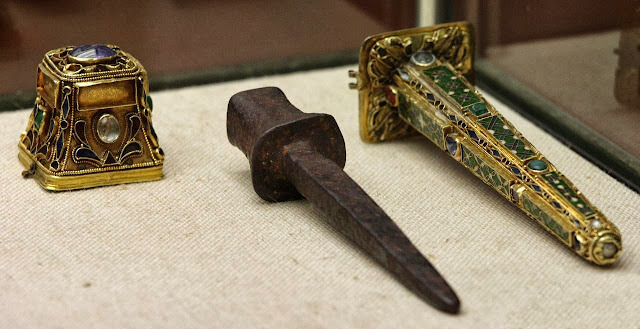 One of the nails, possibly the one from the helmet of Constantine, is said to have ended up in the Iron Crown of Lombardy, although scientific analysis has found the crown to contain no iron. The band that was supposed to have been formed from a nail is actually 99% silver. The Veil of Veronica, which according to legend was used to wipe the sweat from Jesus’ brow as he carried the cross is also said to bear the likeness of the Face of Christ. Today, several images claim to be the Veil of Veronica. There is an image kept in Saint Peter’s Basilica in Rome which purports to be the same Veronica as was revered in the Middle Ages. Very few inspections are recorded in modern times and there are no detailed photographs. The most detailed recorded inspection of the 20th century occurred in 1907 when Jesuit art historian Joseph Wilpert was allowed to remove two plates of glass to inspect the image. The Scala Sancta (English: Holy Stairs) are, according to the Christian tradition, the steps that led up to the praetorium of Pontius Pilate in Jerusalem, which Jesus Christ stood on during his Passion on his way to trial. The stairs were, reputedly, brought to Rome by St. Helena in the 4th Century. For centuries, the Scala Santa has attracted Christian pilgrims who wished to honor the Passion of Jesus. It consists of twenty-eight white marble steps, now encased by wooden steps, located in a building which incorporates part of the old Lateran Palace, located opposite the Basilica of Saint John Lateran. They are located next to a church which was built on ground brought from Mount Calvary. 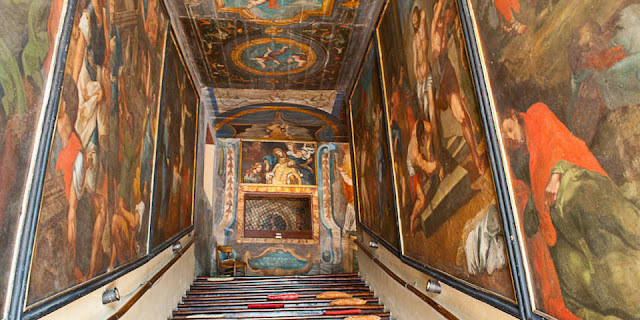 The stairs lead to the Sancta Sanctorum (English: Holy of Holies), the personal chapel of the early Popes in the Lateran palace, known as the chapel of St. Lawrence. The Holy Chalice, also known as the Holy Grail, is in some Christian traditions the vessel that Jesus used at the Last Supper to serve wine. The Synoptic Gospels refer to Jesus sharing a cup of wine with the Apostles, saying it was the covenant in his blood. The use of wine and chalice in the Eucharist in Christian churches is based on the Last Supper story. However, few traditions developed about the Last Supper chalice itself. This chalice is believed to be the one used by Christ at the Last Supper to institute the Eucharist. It is kept at Valencia Cathedral in Valencia, Spain. 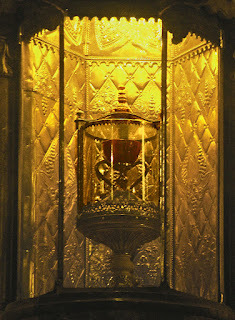 One surviving Holy Chalice vessel is the Sant Calze, an agate cup in the Cathedral of Valencia. 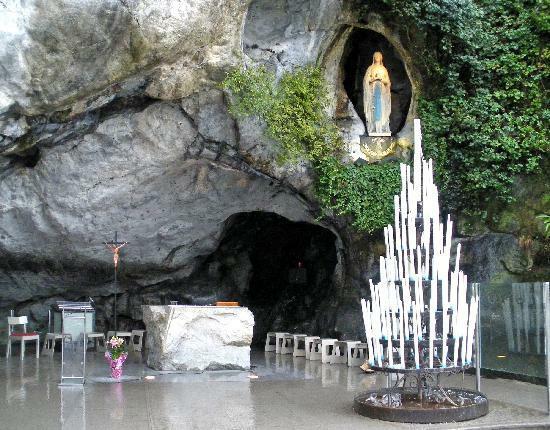 It is preserved in a chapel consecrated to it, where it still attracts the faithful on pilgrimage. The artifact has seemingly never been accredited with any supernatural powers. The cup is made of dark red agate which is mounted by means of a knobbed stem and two curved handles onto a base made from an inverted cup of chalcedony. The agate cup is about 9 centimeters (3.5 inches) in diameter and the total height, including base, is about 17 centimetres (7 inches) high. The lower part has Arabic inscriptions. It was most likely produced in a Palestinian or Egyptian workshop between the 4th century BC and the 1st century AD. It is kept together with an inventory list on vellum, said to date from AD 262, that accompanied a lost letter which detailed state-sponsored Roman persecution of Christians that forced the church to split up its treasury and hide it with members, specifically the deacon Saint Lawrence. The physical properties of the Holy Chalice are described and it is stated the vessel had been used to celebrate Mass by the early Popes succeeding Saint Peter. The first explicit inventory reference to the present Chalice of Valencia is found in an inventory of the treasury of the monastery of San Juan de la Peña drawn up by Don Carreras Ramírez, Canon of Zaragoza, on the 14th of December 1134. The Chalice is described as the vessel in which "Christ Our Lord consecrated his blood" (En un arca de marfil está el Cáliz en que Cristo N. Señor consagró su sangre, el cual envió S. Lorenzo a su patria, Huesca). Reference to the chalice is made in 1399, when it was given by the monastery of San Juan de la Peña to king Martin I of Aragon in exchange for a gold cup. Pope John Paul II himself celebrated mass with the Holy Chalice in Valencia in November 1982. In July 2006, at the closing Mass of the 5th World Meeting of Families in Valencia, Pope Benedict XVI also celebrated with the Holy Chalice, on this occasion saying "this most famous chalice" (hunc praeclarum Calicem), words in the Roman Canon said to have been used for the first popes until the 4th century in Rome. Bennett (2004) argues for the chalice's authenticity, tracing its history via Saint Peter's journey to Rome, Pope Sixtus II, Saint Lawrence, and finally to the Monastery of San Juan de la Peña whence it was acquired by King Martin I of Aragon in 1399. Bennett presents as historical evidence a 17th-century Spanish text entitled Life and Martyrdom of the Glorious Spaniard St. Laurence from a monastery in Valencia, which is supposed to be a translation of a 6th-century Latin Vita of Saint Laurence, written by Donato, an Augustinian monk who founded a monastery in the area of Valencia, which contains circumstantial details of the life and details surrounding the transfer of the Chalice to Spain. According to Christian traditions, the Gifts of the Magi to the infant Jesus are preserved in the Monastery of St. Paul on Mount Athos [Greece]. In 1470 the daughter of the Serbian ruler Đurađ Branković, Mara, who was the widow of the Turkish sultan Murat (Murada) II, presented the Gifts of the Magi to the Monastery of St. Paul on Mount Athos, which was Serbian until 1744. According to Christian traditions, the Gifts were preserved by Mary of Nazareth and given by her to the Jerusalem Church. They were located there until the year 400. Later, the Byzantine Emperor Arcardius translated them to Constantinople and placed them in the Hagia Sophia church, until the Fall of Constantinople in 1453. 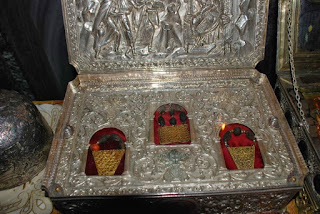 The Gifts of the Magi are still today preserved in the Monastery of St. Paul in small reliquaries--twenty-eight small rectangular gold wafers, a tetragon and a polygon, decorated with elegant filigree ornaments as well as around seventy small olive-sized balls of incense and myrrh. Occasionally, the relic is displayed outside Mount Athos. In 1999, after a devastating earthquake in Athens, the Gifts of the Magi were temporarily brought in the Greek capital to raise funds for the victims. In 2012 they were displayed at Missolongi, Greece. The Basilica of the Holy Blood is a Catholic basilica in Bruges, Belgium. The church houses a venerated relic of the Holy Blood allegedly collected by Joseph of Arimathea and brought from the Holy Land by Thierry of Alsace, Count of Flanders. Built between 1134 and 1157 as the chapel of the Count of Flanders, it was promoted to a minor basilica in 1923. The basilica in Burg square consists of a lower and upper chapel. The lower chapel, dedicated to St. Basil the Great, is a dark Romanesque structure that remains virtually unchanged. The venerated relic is in the upper chapel, which was rebuilt in the Gothic style in the 16th century and renovated in the 19th century in Gothic Revival style. The basilica is best known as the repository of a venerated phial said to contain a cloth with blood of Jesus Christ, brought to the city by Thierry of Alsace after the 12th century Second Crusade. Although the Bible never mentions Christ's blood being preserved, one of the apocryphal gospels asserts that Joseph of Arimathea preserved the Precious Blood after he had washed the dead body of Christ. The daily making present of the Blood of Christ during the Mass was central in the religious life of the Middle Age in Europe. If genuine, a relic of the Blood of Jesus would be of utmost significance, a uniquely important witness to Jesus’ Passion and a perpetual reminder of the historical character of the Christian Gospel. Popular legend asserts that the phial was taken to Bruges during the Second Crusade of CE 1147–1149, by Thierry of Alsace, who returned from Jerusalem with the relic of the Holy Blood presented to him by his brother-in-law Baldwin III of Jerusalem, as the reward of his great services. However, recent research found no evidences of the presence of the relic in Bruges before the 1250s. In all likelihood, the relic originated from the 1204 sack of Constantinople by the army of the Count of Flanders, Baldwin IX during the Fourth Crusade. Ever since, the phial has played no small part in the religious life of the city. Pope Clement V issued a papal bull in 1310 granting indulgences to pilgrims who visited the chapel to view the relic. Recent investigations have showed that the phial, made of rock crystal and dating back to the 11th or 12th century, was a Byzantine perfume bottle made in the area of Constantinople. It was never opened since its arrival in Bruges. Its neck is wound with gold thread and its stopper is sealed with red wax. The phial is encased in a glass-fronted gold cylinder closed at each end by coronets decorated with angels. The date "MCCCLXXXVIII die III maii" (May 3, 1388) is engraved on the frame. 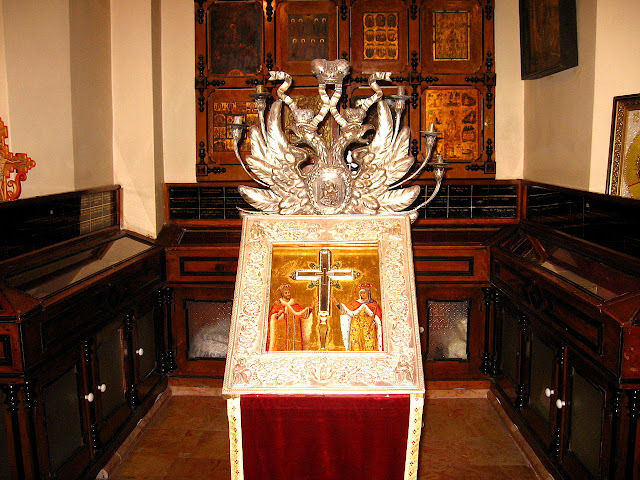 The relics of the Cross were initially stored in the chapel created in the IV century by St. Helen herself; in the XVI century they were moved to allow a more adequate conservation and in 1931 they found their final place in the modern Chapel accessible via the corridor that symbolize an ideal ascent to Calvary. The Holy Relics are preserved in precious reliquaries (made all or in part in the XIX century), protected by a glass case and displayed to the veneration of the faithful. The tradition says that St. Helen brought to Rome, after her pilgrimage, the fragments of the True Cross and one of the nails used in the Crucifixion. Later were added the fragments of the Grotto of the Nativity and the Holy Sepulchre, the joint of the finger of St. Thomas, a part of the cross of the Good Thief and two thorns from the Crown of Jesus to complete the catechesis on the Passion. ↷ Matthias: buried in the Saint Matthias Benedictine Abbey in Trier, Rhineland-Palatinate, Germany. 👉 Where Are the 12 Apostles Now?